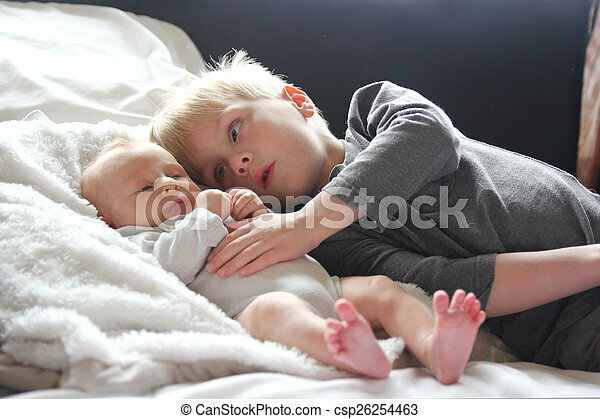 Big brother lovingly playing with newborn baby sister. 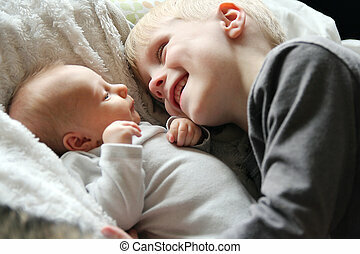 A big brother is lovinly hugging his newborn baby sister as they lay in bed together. 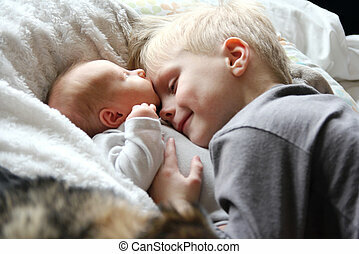 A big brother is lovinly hugging his newborn baby sister as they lay in bed together. 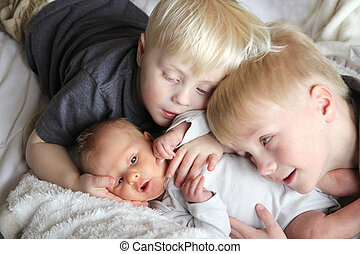 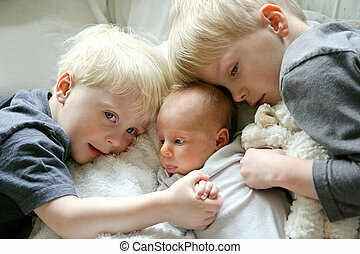 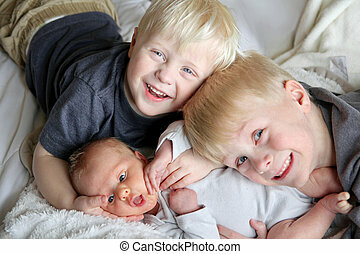 Two young children, a toddler and his big brother are lovingly hugging their newborn baby sister. 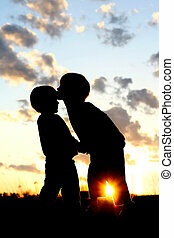 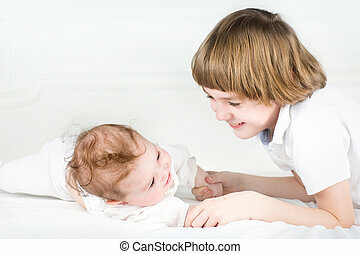 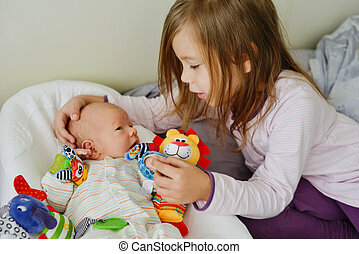 A 5 year old big brother is hugging, smiling, and looking at his newborn baby sister as they sunggle in bed. 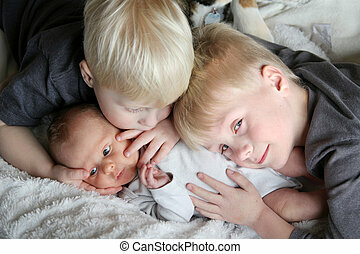 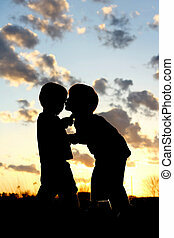 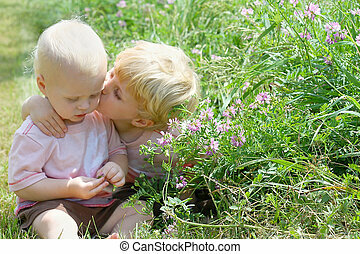 Two young children, a little boy and his toddler brother are kissing their chubby newborn baby sister as she cries. 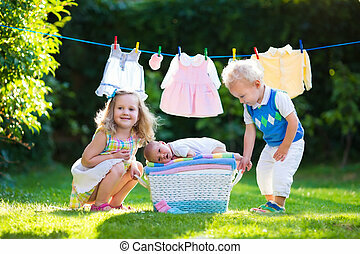 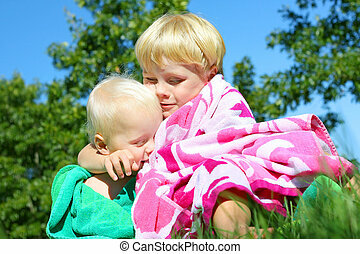 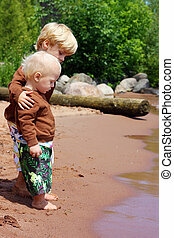 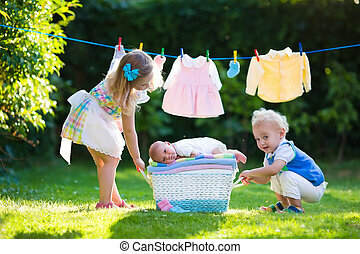 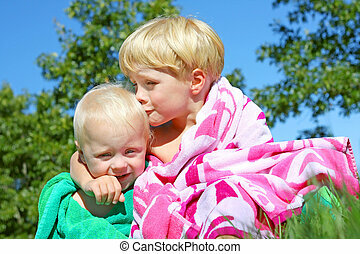 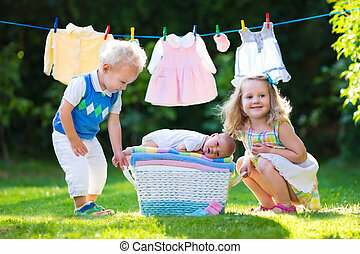 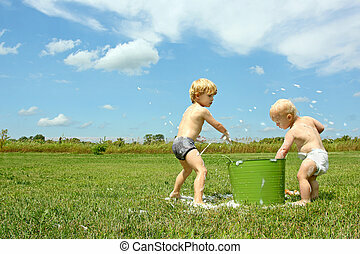 Two happy brothers, a baby and a young child, outside hugging each other in colorful beach towels on a sunny summer day.